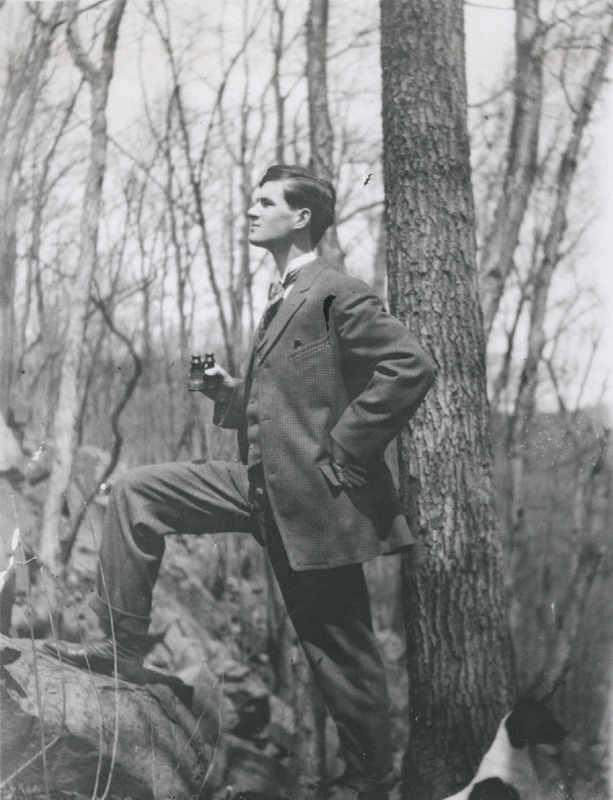 Robert Cushman Murphy (1887-1973) was an early conservationist who concentrated his efforts on Long Island and internationally. He conducted research on DDT, which influenced Rachel Carson’s Silent Spring, and participated in lawsuits to ban the aerial spraying of the pesticide. Dr. Murphy’s papers, research notes, and slides/photographs are accessible for research by appointment in Special Collections of the University Libraries. ”Robert Cushman Murphy was the greatest scientist and naturalist Long Island ever produced,” Assemblyman Steven Englebright said. ”We have our first national parks directly because of Robert Cushman Murphy’s leadership. “He was the first scientist in modern times to call for the preservation of the pine barrens. He articulated the beauty and dignity of the pine barrens as an ecosystem, previously thought of as a wasteland” (“Father of Ecology, and Long Island,” NYT, Feb. 22, 1998). Murphy was the first president of the Long Island chapter of the Nature Conservancy, which obtained natural habitat locally for preservation, and he was an adviser on the Fire Island National Seashore. His book on the region, Fish Shape Paumanok: Nature and Man on Long Island, was published in 1964. He was an ornithologist and Lamont Curator of birds at the American Museum of Natural History. Having become well aware of the decline in whale populations through the years, he also participated in efforts to save them. He published nearly 600 articles in scientific journals and in popular magazines, including Natural History, National Geographic, and Scientific Monthly. In 1947 he published an account of his 1912 whaling voyage as Logbook for Grace, derived from his original diary and letters to his wife. Murphy received the Daniel Giraud Elliot Medal of the National Academy of Sciences in 1943 and other scientific honors. He died on Long Island in 1973. For more information about the collection, visit: http://www.stonybrook.edu/commcms/libspecial/collections/manuscripts/murphy.html.